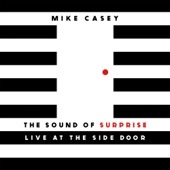 This podcast episode features an interview with young saxophonist Mike Casey on his debut album. That is followed by veteran jazz ambassador Wynton Marsalis from his Majesty of the Blues recording. Also of note are new releases by Noah Preminger and the Curtis Brothers. This podcast focuses on the dreams and vision of Martin Luther King, the historic legacy of Barack Obama and the protests of today's Women's Day March. We as a people will not stand for the tearing down of the ideals and values represented by King, Obama and the Women's March protesters. Bob Dylan, Noah Preminger, Gil Scott Herron, Noah Baerman, Gregory Porter, Norah Jones and Sonny Rollins whos work is represented here have used their words and music to express themes of equality, justice and freedom. This podcast, recorded on Friday the 13th gets off with a superstitious start from rocker Jeff Beck, and then SF Jazz Collective. Next, pop covers from guitarist Dave Stryker. Then there is a great collaboration with Metheny and Mehldau. 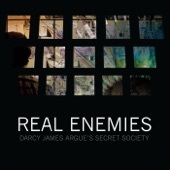 Conspiracy theories from Darcy James Argue's Secret Society, Blues from Noah Preminger before we journey back in time for early jazz. The podcast concludes with great piano playing from Renee Rosnes and Kenny Barron. The center of this podcast is a celebration of John McLaughlin's 75th birthday. From his first solo release to Mahavishnu Orchestra to Shakti, represents his most creative period in my view. 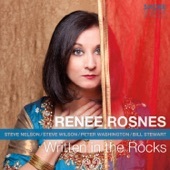 Another highlight in this podcast is Renee Rosnes' latest release Written in the Rocks. Other artists review here are Eddie Henderson, Ed Fast, Buster Williams and Miles Davis. Taken from the last radio broadcast in 2016, we hear some more of my favorite recent album releases. 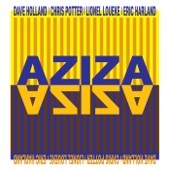 Most of these have a jazz rock fusion sound, beginning with bassist Dave Holland, guitarist Rez Abbasi, Ed Palermo big band and more.